The breathtaking Gunnison Gorge is located just downstream from the Black Canyon of Gunnison National Park. This trip is for those who truly appreciate the beauty of pure wilderness as this stretch of river was recently nominated for “Wild and Scenic River” designation by the US Department of the Interior Bureau of Land Management. This allocation makes the Gunnison River more exclusive for rafters, as we are one of only seven outfitters with permits to regularly run trips on the Gunnison Gorge. 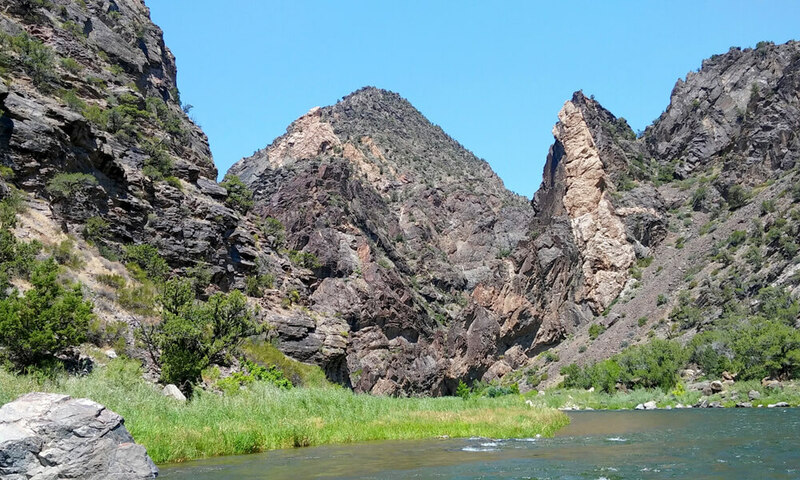 The adventure starts by loading our rafts and camping gear onto mules and taking a mile long hike down the canyon to get to the Gunnison River. This portion of gold medal trout water features towering black granite cliffs and amazingly clear waters. On the river you can expect a combination of action packed whitewater rapids and calm stretches of floating allowing you to take in the gorgeous scenery. This river is optimal for taking duckies (inflatable one or two person kayaks) so you’ll get the chance to have full control as you take on the whitewater!